Building a school brand that’s unique and recognizable is critical to longterm success. That’s why we created these school brand tools to help you get the job done in just 8 weeks! They are all absolutely free to save and print! To get the full set, just submit your email here. Here’s how you get your students involved. Print this poster and put it up anywhere students gather. 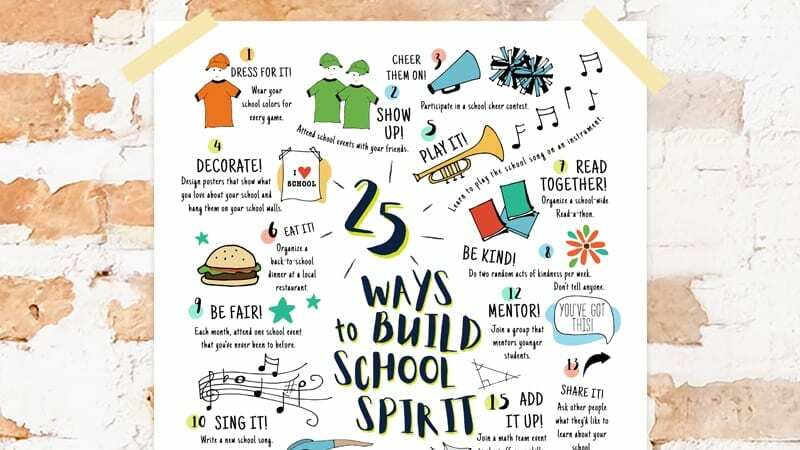 It’s got 25 great ideas students can do right now to help build the school spirit all year long. 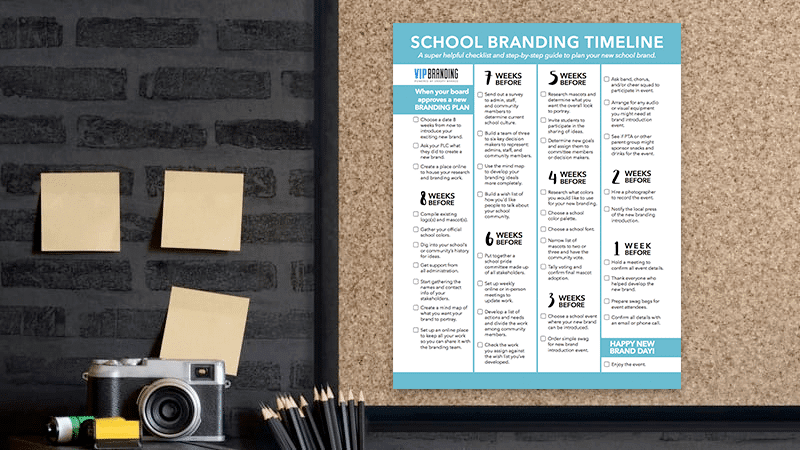 This planner gives you the basic outline you’ll need to start developing a school brand and moving the plan forward. 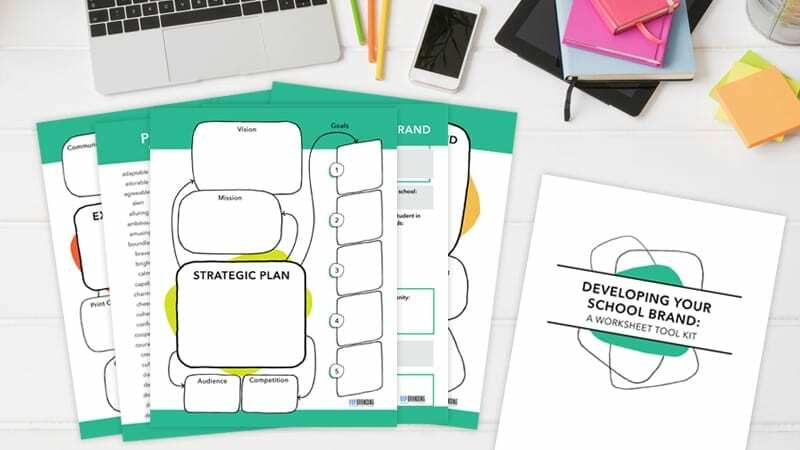 Download and print to use as you make a plan for an 8-week brand launch. Move into action right now with this worksheet designed to help you and your committee members think about what matters to you and your school. The more you write your ideas down and make it concrete, the better your vision will be for implementation. 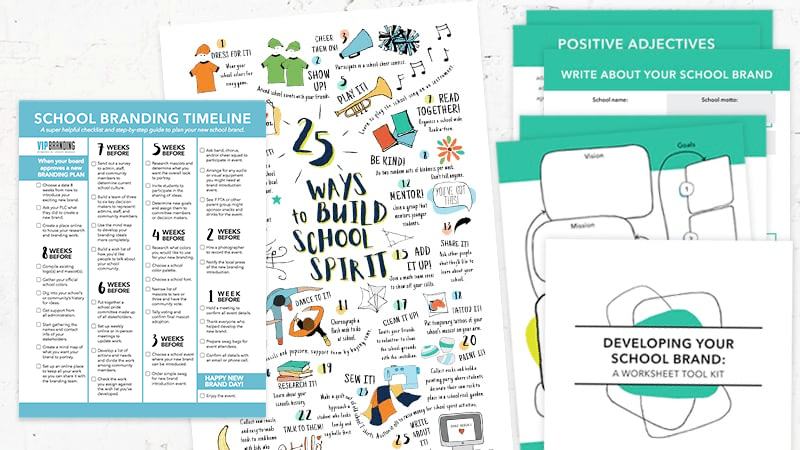 Have more ideas for activities that build your school brand and spirit? Shoot them our way! We’d love to add them to the set. Yes! Please send me news and offers from VIP Branding.